The CE-2 is a result of feedback to Craig Sword from troops in the field who have used the CE-1 and law enforcement units. While the CE-1 was designed as a pure fighting knife, it isn't always the best choice for general field duties. Based upon the word from our troops in the field, some wanted a more general use field knife, that could also double as a last-ditch combat fighting knife. We believe, based on this information, that the CE-2 is the perfect knife for the job. While not possessing the double-edge of the CE-1, the CE-2 is an outstanding choice for many field duties that most troops will encounter. Be it opening a case of ammo, digging in the ground or used as a combat knife, the CE-2 won't let you down. 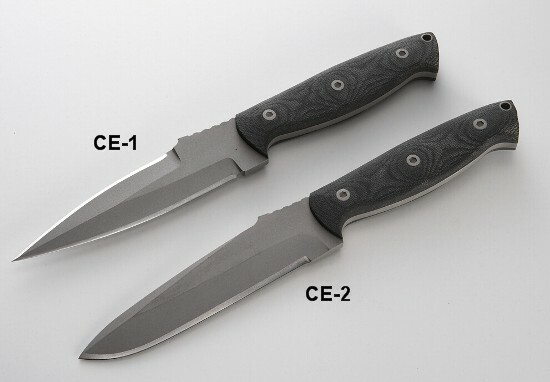 The CE-1 and the CE-2 will be available in several blade lengths in the very near future. 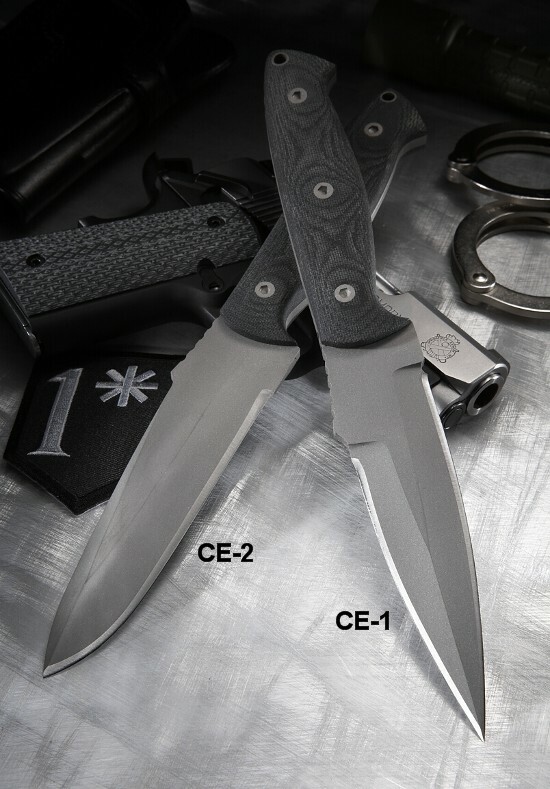 Also, the CE-2 will be available with or without handle scales for those who desire their knife in this configuration. A paracord wrapped model will also be available.